Massage can be a helpful add-on to conventional medical care for back pain. It can reduce discomfort and get you back on your feet faster. It can take weeks to months to completely recover from a flare-up of low back pain. In the meantime, massage offers relief in addition to conventional care, such as taking anti-inflammatory pain relievers, staying as active as possible, getting physical therapy, and waiting for the body to heal. When added to the mix, massage can reduce pain and speed the return to normal activities. On the downside, you will probably end up paying the cost of the massage therapy, and it's unclear what type of massage is best for low back pain. "Based on research to date, massage therapy generally seems to be helpful, when compared with doing nothing, and it tends to be very safe," says Peter Wayne, research director of the Osher Center for Integrative Medicine at Harvard-affiliated Brigham and Women's Hospital. "It's worth a try." Finding the right massage therapy for you presents some challenges. One is that practitioners vary considerably in their level of training and experience. There's also great variation in the kinds of massage available. Swedish massage is the most common type of massage offered. "Most people who go to massage school will graduate with a level of proficiency in Swedish, which is primarily relaxation massage," says Arthur Madore, a licensed massage therapist at the Osher Center. Swedish massage involves long, gliding strokes and kneading of the major muscle groups, as well as friction, gentle rhythmic slapping, and vibration. Among the many other techniques in the marketplace are deep-tissue, pressure-point, Thai, and neuromuscular massage. acupuncture. But because of the limited size of studies, it is difficult to say for sure what type of massage is best for low back pain and what is the optimal "dose" and frequency of treatment. Massage is also an option for neck pain, knee or hip pain, headaches, or other discomfort related to muscles, joints, and connective tissue. However, the research backing for such applications is not as extensive as for low back pain. If you have any concern that massage might be harmful to your back condition, check with your doctor. 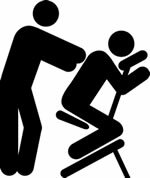 Ask the massage therapist (or a physical therapist) for advice about ways that you sit, walk, or work that might be contributing to your pain. Find out if a medical center in your area has an alternative or integrative medicine program. Such programs typically offer massage by qualified practitioners. While there, you can also explore other alternative treatments, such as acupuncture and chiropractic. Talk to people you know to get a recommendation. "You find a good massage therapist the same way you find a good doctor—ask around," Wayne suggests. Good practitioners get good results and generate positive referrals. Make sure the massage practitioner is licensed to practice in your state and certified by a national organization such as the American Massage Therapy Association (www.amtamassage.org). There's more to massage or "body work" than kneading and squeezing of tight muscles. Some approaches sprang from traditional medicine, while others were developed more recently. Here are some common options. Deep finger pressure applied along "energy channels" in the body called meridians. Claims to use light touch to adjust the balance and flow of cerebrospinal fluid. Aggressive massage to relieve severe tension in the muscle and the connective tissues. Massage to relieve acute or chronic pain. Massage intended to release tension in the connective tissue surrounding the muscles. Massage to help athletes prepare for and recover from sports activities. Long strokes with gentle or firm pressure as well as kneading.